Founded in 1975, Bridon Cordage has been pioneering, developing and perfecting polypropylene twine since the introduction of the mechanical baler, earning a reputation as the industry’s front-runner. All of their twines are made in the USA. The Integra Series™ Premium Netwrap is the culmination of more than 25 years of experience in baling across America. Our available options include the following widths with a variety of lengths: 48 inches, 51 inches, 64 inches and 67 inches. Industry leaders estimate that the net wrap market is growing 10 percent per year. Agassiz has partnered with the leaders in this industry to bring you the best products on the market. Our available options include the following widths with a variety of lengths: 48 inches, 51 inches, 64 inches and 67 inches. This unique twine is designed to give the user the benefits of both plastic and sisal twines. The advantage of Clearfield™ Twine is a combination of sisal twine’s degradability and plastic twine’s durability. Brazilian Sisal Twine has long been recognized as the finest sisal twine. Every bale is treated to guard against mildew, rodents and rot. Brazilian sisal twine is manufactured with pure natural sisal fibers that guarantee the only true biodegradable product, safe for animals and the environment. We understand that every operation is different, so we have several other options of more economic choices for our customers on all of our twines and net wraps. Simply reach out to one of our Forage Harvest Supply Specialists to find out which product best suits your needs. It is our promise that we can supply you with the best product for your application. The Sunfilm brand has long been regarded as synonymous with quality silage wrap. Sunfilm is made in the USA for our American customer base. Sunfilm is white in color and 30" X 5000'. Superior strength and barrier properties create an airtight seal for up to twelve months of outdoor storage with nutritional levels maintained. Hay Guard® is the new way to treat hay. It contains no acid or bacteria. 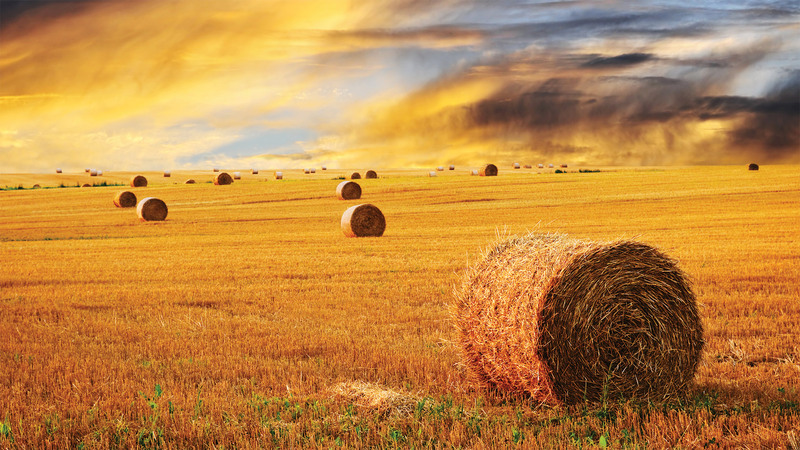 Hay Guard® allows hay producers and contractors to bale their hay with up to 25 percent moisture. This allows for greener and more nutritious hay. University research proves that Hay Guard® improves milk production and keeps hay from heating. Hay Guard® is proven safe for all livestock, including horses. Application rate guidelines for small square & big round bales for are 2-4 pounds per ton baled hay with a moisture content up to 25%. Large square bale application rate is 2 pounds per ton with moisture content of up to 20%, and 3-4 pounds per ton where moisture content is 21-25%. Silo Guard® is a unique approach to improving the quality of silage and hay. Silo Guard® is a sulfur-based product that scavenges oxygen from the forage, so molds and yeast are diminished. This helps to speed along fermentation, and improve the quality of the forage. Silo Guard® contains no acid and is safe to handle. Siloguard can be used for many different applications, please refer to the application rate chart to find the appropriate rate for your crop. Premium Grain and Feed Storage Solutions from the Leader in Agricultural Polyethylene Film Products featuring 7 Layer Smart Structure Technology. AgFlex® Grain, Silage and Commodity Bags represent the best in field storage solutions. These bags feature the industry’s first 7 layer SmartStructure® technology. Choosing an AgFlex storage bag to protect grain and silage assures a high-performance storage solution offering increased strength, greater puncture and tear resistance and the utmost in peace of mind. AgFlex bags are compatible with all silage baggers, grain baggers and high-capacity grain bag extractors. They are also guaranteed to withstand 24 months of ultraviolet exposure under normal circumstances. Stock sizes listed in chart. Other 6.5’, 8’, 9’, 10’, 11’, 12’ and 14’ sizes are available by special order. Premium® Silage Sheeting by AT Films features the SmartStructure® 7 Layer Advantage, designed to provide a highly durable bunker cover with increased puncture and tear resistance. Protect valued feed harvest in silage pits or bunkers while it ferments and converts to a highly nutritious and easily digestible premium feed for livestock. The white/black film’s white surface reflects light energy and the black layer provides 100% opacity. Premium® is guaranteed to provide 12 months of UV stabilization under normal circumstances. *Will vary based on bale dimensions and number of wraps of twine or net wrap (round bales)! NOTE: All bag capacities are approximate. Capacities will vary based on many factors, including type of forage or grain, moisture content, bagging machine, etc. Each bag capacity assumes 15 feet of the bag is used for tie-off. When storing grain, a rounder bag will have a greater capacity. A bag will stay rounder when filled with wheat, barley or corn, and will slump more with durum, peas, lentils or canola.